So this week is about biped humanoid robots for beginners. First we have to establish what a biped robot actually is. A biped (bipedal) is a robot which walks on two legs in a human-like way. You can find both humanoid biped robots and non-humanoid ones. An example of a non-humanoid biped robot is Cassie the ostrich bot seen in the following video. Another example is NABiRos which is also an interesting new take on bipedal robots. No matter which kind you think are more interesting, the starting point is the same. A two legged robot with a minimum amount of joints per leg. Bob is the most simple biped robot you can make. He has two legs and require only four servos. The original Instructable for Bob can be found here. Since the first original Bob the Biped was build, many other versions of him has emerged. Several also include an ultra sound sensor to make it easier to interact with the robot. I have looked at a lot of tutorials for these robots, and my personal favorit for beginner is this one for Otto DIY. The best thing about this version is that the Instructable has a lot of pictures of how to assemble the robot. this is especially helpful for beginners. But there are many other versions as well! Otto is actually programmed using code from the robot Zowi by BQlabs. However Zowi uses servos that are a bit larger than the micro servos used for both Bob and Otto. If you are a little more adventures you can try to combine parts from different versions and create you very own Boto or Zoob. Or if you have mastered 3D modelling you can try to create your very own design. I’m currently building a combination of Otto and the Zowi mini (Otwi 😉 ). However, I’m currently spending a lot of time on my OpenGL 3D game, so my Otwi is still missing a proper brain. I have tested simple walking routines on it by attaching and Arduino Uno on its head. But my plan is to make a custom made PCB which will fit nicely inside the head. 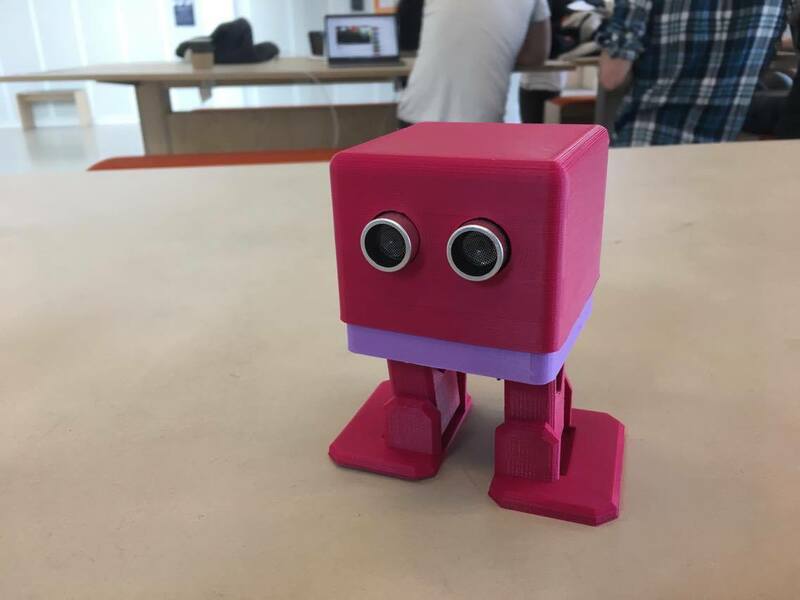 Ready to start making your own simple biped robots? Here are the direct links to the 3D files for the projects mentioned in this post. Please don’t hesitate to share what you have made once you finished!